The Volvo V60 Cross Country – the third in Volvo’s series of jacked-up station wagons after the XC70 (née V70 Cross Country) and the V40 Cross Country – has been unveiled ahead of its world premiere at the LA Auto Show later in the month. The Cross Country is differentiated from its regular siblings through front and rear skid plates, side scuff plates and wheel arch cladding. The wheels come in either 18- or 19-inch sizes, shod in higher-profile tyres for extra wheel protection and added comfort. Inside, there are black sport seats with brown stitching from launch, with two new two-tone colour schemes coming in early 2015. Underneath, the Cross Country benefits from ground clearance that has been increased by 65 mm, as well as torque vectoring technology (we’re guessing it’s some sort of brake-operated system through the stability control) and corner traction control. Powertrain details remain scarce, but it is confirmed that at launch the car will come with a 250 hp five-cylinder petrol engine with four-wheel drive, as well as Drive-E four-cylinder D3 and D4 diesels – the former powering the front wheels only, the latter available in both FWD and AWD flavours. 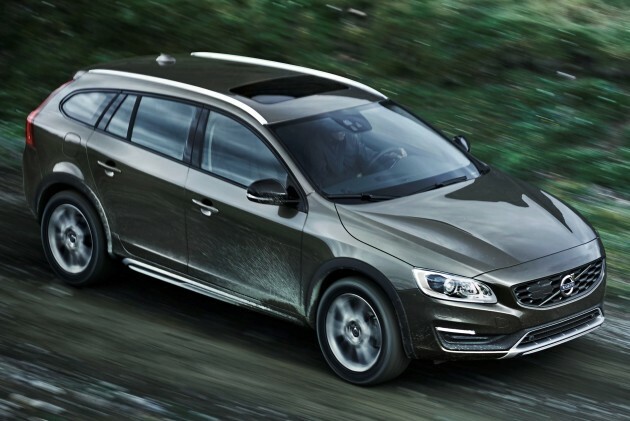 We’re expecting the rest of the regular V60’s engines to carry over to the XC in the near future. 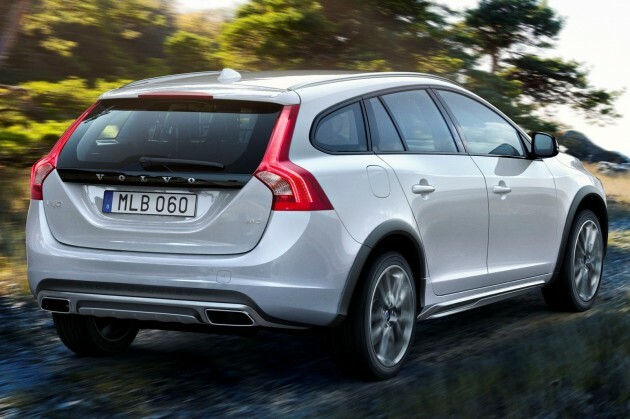 The Volvo V60 Cross Country will be arriving in US and Canada first, with the rest of the world receiving it starting from early 2015.